when lectures are given by specialists on the life of the Abbey and on the most recent developments. Black print denotes FORA lectures, and red denotes other events. Mon. 1 April 2019 The Berkshire Churches Trust are organising a lecture on "Henry I in Berkshire: Reading Abbey and Windsor Castle". The lecture will be given by Tim Tatton-Brown OBE in the Long Gallery at Englefield House. Tickets are £12.50 which includes a glass of wine. This poster gives further details. Sat. 6 April 2019 Reading Abbey Quarter are organising a one-day conference on "Royal Death and Burial - Reading Abbey in Context" in Reading Town Hall. Details can be seen on the Abbey Quarter website What's On page. Further information including the programme and speakers can be seen here. Wed. 24 July 2019 The FORA annual outing will be a relatively local one this year, to Cholsey, Wallingford and Dorchester Abbey. Cholsey was part of the foundation endowment to Reading Abbey and the church has interesting 12th century features, as well as being the burial place of Agatha Christie. Wallingford was an ancient Saxon burgh which rose to importance in the Norman period as a place where the Thames could be forded, and is where William the Conquerer crossed the river on his way from Hastings to London. A castle of Norman foundation guarded the ford, which held out for Matilda throughout the anarchy and survived a number of sieges. Dorchester was an Augustinian abbey and much of the abbey church still survives. The trip will be by coach, leaving Reading station around 10am and returning after tea at about 5.00pm. We are looking at a price per person of £35 including coach travel (£20 if not), which will cover morning coffee, afternoon tea, and entry to Wallingford Museum. If interested, please email the secretary ( secretary@readingabbey.org.uk ). 8th - 27th October 2018 The Reading Between the Lines theatre company's production of "Henry II", the final part of the Conquerors trilogy and sequel to Matilda the Empress was presented in Reading Minster church. Reading Between the Lines website. Sat. 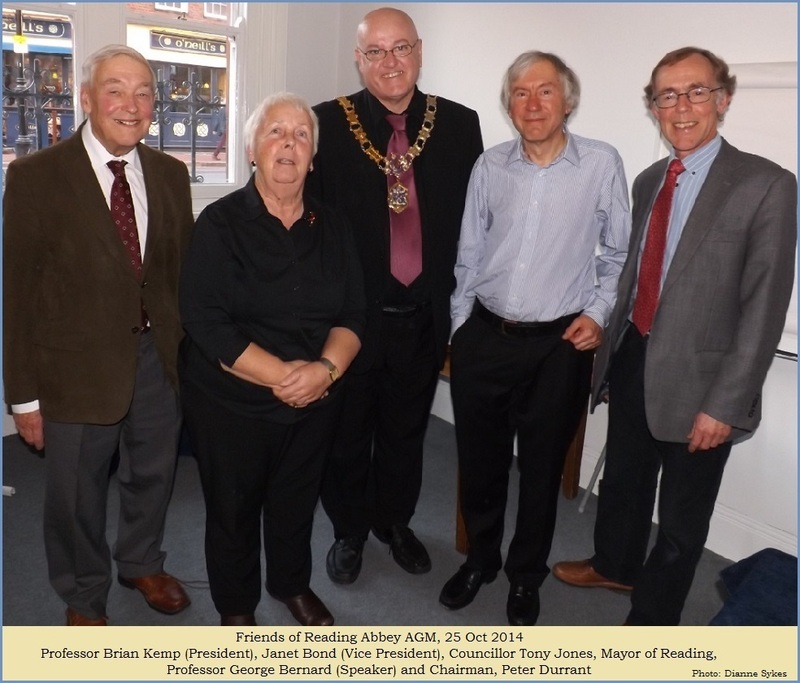 27th Oct. 2018 The Friends of Reading Abbey AGM was held in St James Church on Forbury Rd. 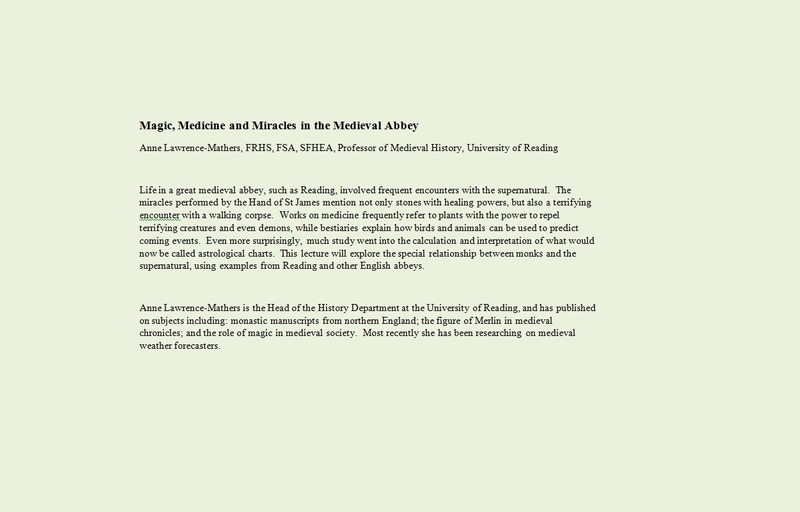 After the AGM, Professor Anne Lawrence-Mathers gave a talk on the theme of "Magic, Medicine and Miracles in the Medieval Abbey." A summary of the subject of the lecture and profile of Professor Lawrence-Mathers can be seen here. A poster for the AGM is here. Sat. 29th Sept. 2018 The Department for Continuing Education in the University of Oxford held a one day course on Reading Abbey entitled "Henry I's Reading Abbey: the Architecture of His Burial Church". The course was arranged in association with the Reading Abbey Quarter (Reading Museum) and the Friends of Reading Abbey. It took place at Rewley House, near the city centre in Oxford. Th. 6th-Sun. 9th & Th. 13th-Sun. 16th Sept. 2018 Heritage Open Days (HOD) are spread over two weekends this year and feature various Abbey related events. the HOD Facebook page for Reading is at Facebook Reading HOD ; the HOD LivingReading page is at LivingReading HOD. 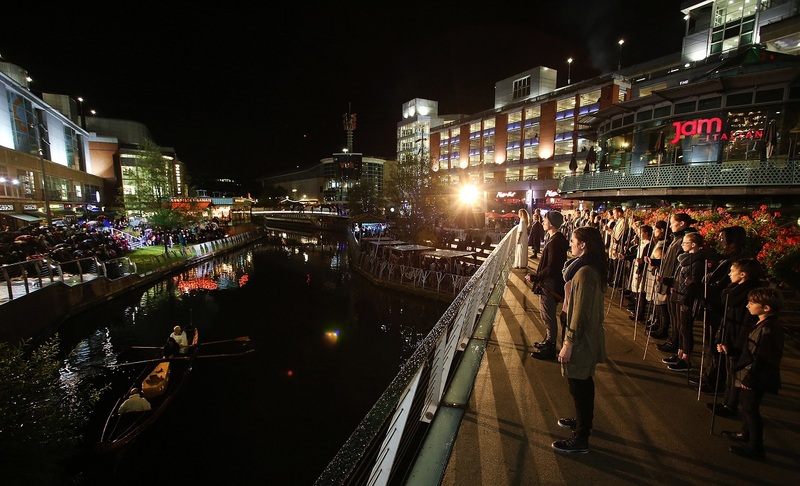 Please note also that the Reading on Thames festival runs from 6th-16th Sept.
Sun. 2nd Sept. 2018 The Friends of Reading Abbey joined with the Friends of Reading Museum and the Friends of Caversham Court Gardens to hold a Summer Party in the Abbey ruins to celebrate their re-opening. 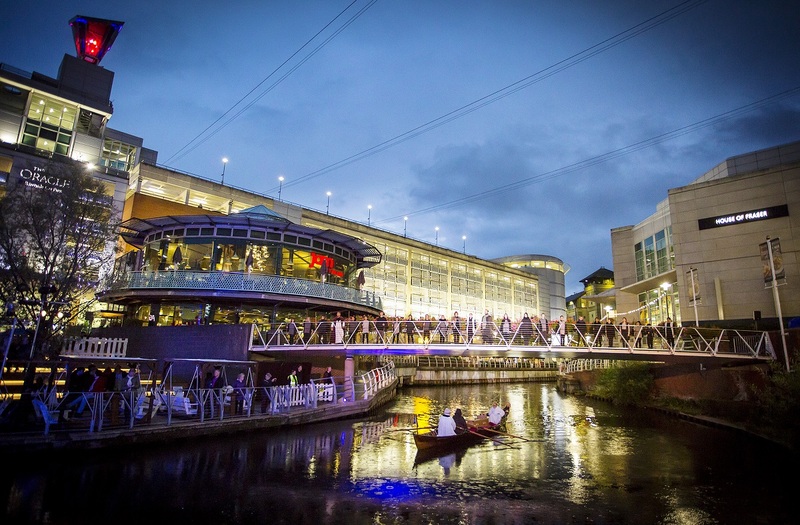 Links: Programme for the party ; Reading Borough Council press release. Wed. 25th July 2018 The FORA annual outing this year was to the great Norman Abbey in Tewkesbury and the nearby Saxon churches at Deerhurst. The programme can be seen here and photographs of the outing can be seen on the Look Back at Past Events page. 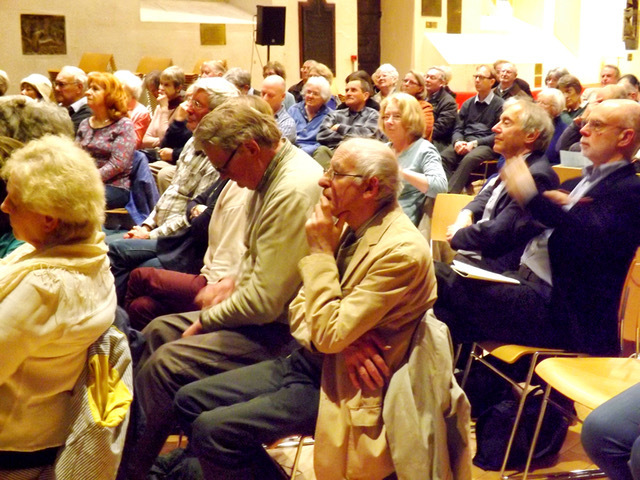 Fri. 13th April 2018 The Spring lecture was held in St Laurence's Church, Friar St. Reading. The lecture was given by Simon Marsh, Research Officer at the Battlefields Trust, on the topic 'A Place Strongly Fortified - The Civil War Siege of Reading'. This focused on the 1643 siege of the town, and the Abbey Quarter's involvement in it. The Civil War possibly caused more damage to the structures of the Abbey than the dissolution a century earlier, and ended its use as a royal palace. 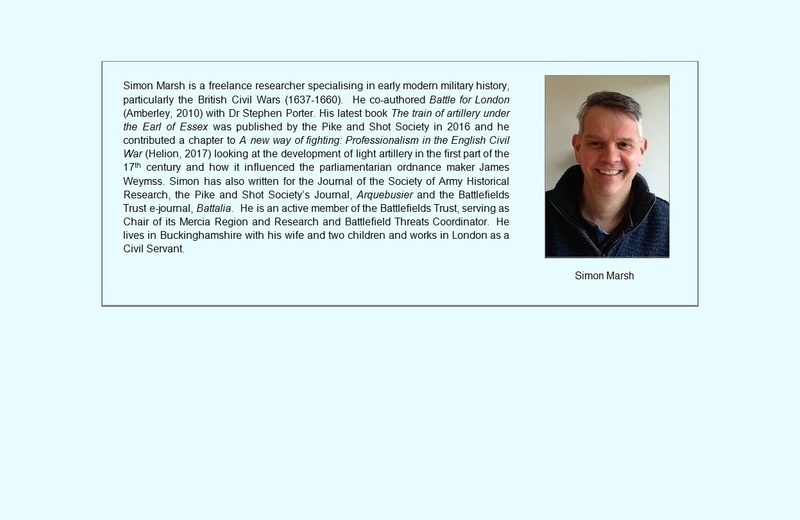 A profile of Simon Marsh can be seen here. Thurs. 2nd Nov. - Sat. 18th Nov. 2017 The new play, Matilda the Empress, from local theatre company Reading Between the Lines was performed in St James Church, Forbury Road. Sat. 20th May - 23rd Sept. 2017 Exhibition at Reading Museum about the Abbey Quarter and ruins. 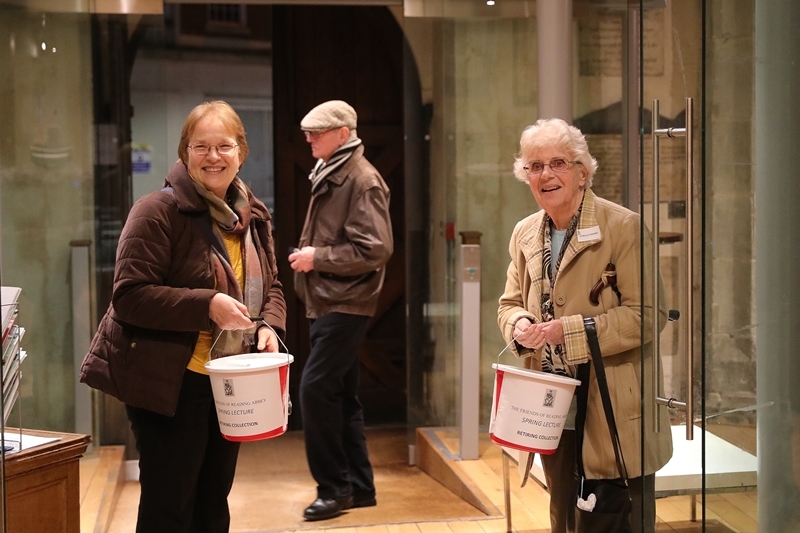 i) Museum Gallery Tours led by volunteer guides take place on Saturdays at 12.00 noon. These will include updates about the Abbey Quarter. More information can be seen at Gallery Tours. ii) Exhibition Short Tours are held every Wednesday and Saturday at 11.15am in the Sir John Madejski Art Gallery, Reading Museum. More information can be seen at Exhibition Short Tours. 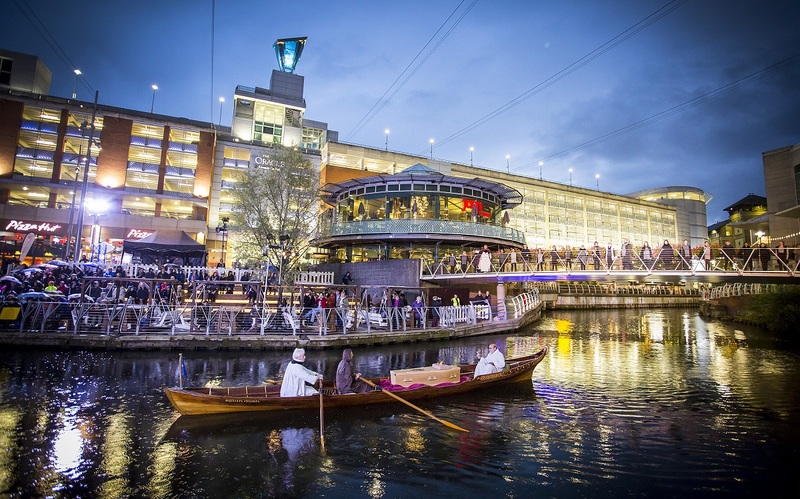 Fri. 15th Sept. 2017 A performance of 'Reading's Royal Burial, The Life and Death of Reading's King' was held at the Oracle Riverside. Information on the Reading-on-Thames festival website. Photos of the performance's Royal Burial can be seen here: royalburial1 , royalburial2 , royalburial3 . Photos courtesy of Toby Davies, Reading Between the Lines and Stewart Turkington, Reading-on-Thames Festival. Tues. 4th July 2017 FORA Annual Outing. This year's outing had a Jane Austen theme, as a former pupil of the school in Reading Abbey gate, to commemorate the 200th anniversary of her death. A very pleasant day was spent at various locations in Hampshire. An account of the day can be seen on the Look Back at Past Events page. Sat. 10th June 2017 Reading Waterfest, organised by Reading Borough Council. Some photographs of the Waterfest can be seen on the Look Back at Past Events page. 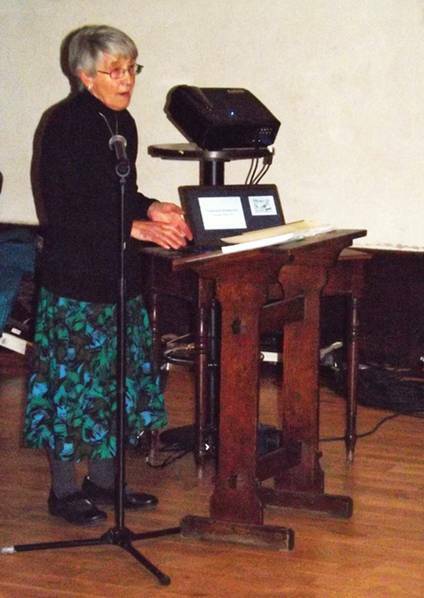 Fri. 9th Dec. 2016 The Reading Branch of the Historical Association arranged a lecture by Dr Ruth Salter from the University of Reading on "Reading Abbey - Saints, Miracles and Cure-seekers". The lecture was held in the lecture theatre of Reading School. Reading Abbey update Heritage Open Day Success! Reading Museum Staff and Volunteers successfully led tours around the Abbey Quarter as part of the Heritage Open Day. We received amazing feedback such as “Really interesting – looking at the remains will never be the same! Look forward to seeing more!” Plus visitor numbers on Saturday were through the roof at 896 people! Thank you to everyone who helped make the two days such a success! ~~ Photographs of the outing can be seen on the Look Back at Past Events page. for further information. A poster for the event is available here and details of the community singing of Sumer is icumen in here . Words of the song in Middle and Modern English can be seen here and a photograph of the original manuscript here . ~~ Photographs of the Summer Party can be seen on the Look Back at Past Events page. Sat. 11th June 2016 The annual Reading Waterfest is this Saturday, 11th June. FORA will have a gazebo on Chestnut Walk (near to the Reredorter entrance to the Abbey Ruins - now closed) where we will have our display and will be handing out leaflets. This will be staffed by committee members and volunteers. If you are in Reading for Waterfest, do drop in and talk to us. Fri. 11 & Sat. 12 Sept. 2015 Heritage Open Days, Reading Abbey Quarter Tours. These were organised by Reading Museum. Also on Thursday 10th Sept, tours of the Museum stores. Sun. 21st June 2015 Summer Garden Party in Caversham Court Gardens. To see photos of this event and the Waterfest, please click here. AGM & talk on The Dissolution of the Monasteries, with local reference to Reading. Photograph here. Sat. 13 Sept. 2014 Reading Abbey Quarter Tours. Organised by Reading Museum. Sat. 14 June 2014 15-minute tours of Reading Abbey Ruins. Organised by Reading Borough Council.